It's Thursday! Typically on Thursday night I have a standing business meeting with a couple of my friends/colleagues. Lately, we've been trying to build extra time into the night so that we can fit in a board game as well as work. It's been awesome! These guys are all gamers, so they're always up for learning a new game. I'm loving it. So far I've gotten to introduce them to Lord of the Rings LCG from Fantasy Flight Games and Ticket to Ride from Days of Wonder. 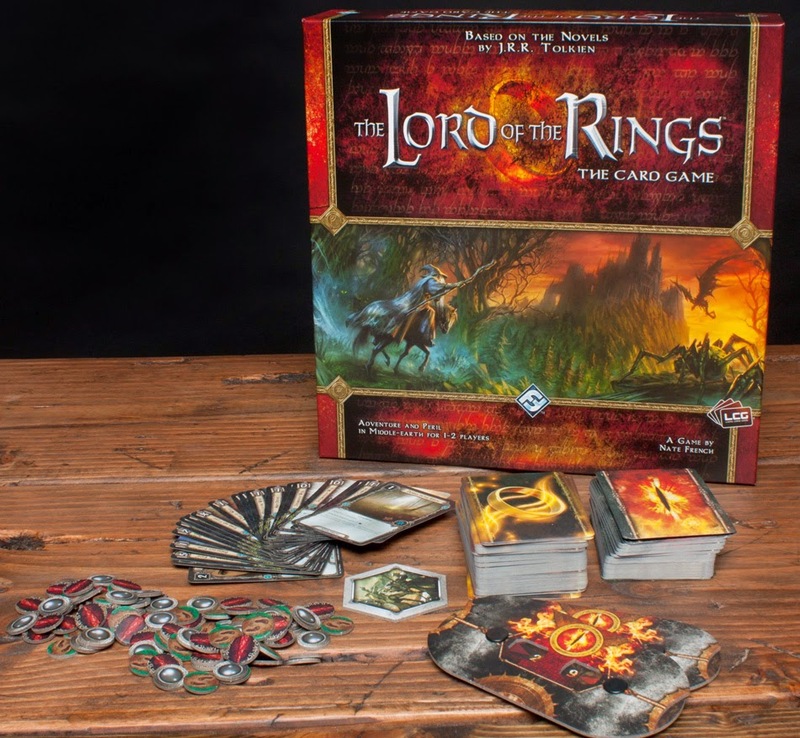 Lord of the Rings LCG is a co-op card game where you play together against the quest deck. It can be very challenging but I've had a fantastic time every single time I've played it with a group. It's not the most simple co-op game but it's also not the most complex. It's truly a nice middle ground on the complexity scale which is why it was perfect for this group of guys. I knew they would pick it up fast, and they did! Ticket to Ride is low on the complexity scale, but it's still one of my favorite games. Even the most complicated version - Ticket to Ride Europe - you can teach in less than ten minutes. If you pick a simpler version like Ticket to Ride America it's easy to teach in five minutes. The best part of the game is that there's enough depth that it's held my attention across multiple versions and more times on the table than I can count. I introduced these guys to Ticket to Ride Europe because it's my favorite and I knew they would be fine with the extra rules and conditions. I'm hoping to get more games on the table with this group soon. A couple of my favorites that I'm most excited for are Small World and Citadels. After we get a nice sampling I'm going to see what they'd like to dig into more and see if we can get a regular gaming session going. As I said earlier, we don't have time for gaming every single week... but it's turning into more of a regular thing. And I love that. I really do love Ticket to Ride. For a bit there, Eri and I were playing against one another on Steam. The PC port isn't amazing, but it is solid! Which version do you like? I've played a bunch of different ones. I think the only version/map I haven't touched is Germany. They're all interesting in different ways but Europe is definitely my favorite for 4-5 players. I forget the name of the variant I enjoyed. It was either free or came included with however I purchased the PC version. It is a revamp of the base game. I love both Ticket to Ride and Smallworld. 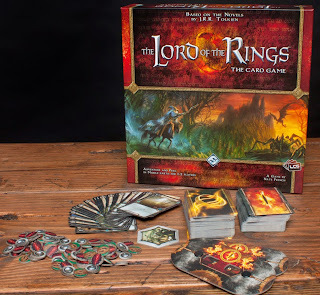 Some other favorites include Dominion (more of a deck-builder-strategy game), and Mansions of Madness (a Lovecraftian survival game where it's the party vs the GM, and anybody could win!). If you're looking for more co-op stuff, where everyone either wins or loses, one of my ABSOLUTE FAVORITES is Pandemic (of the seven games I've played, we've only ever won once). A simpler co-op by the same company is Forbidden Island, which is just as fun, and you win more often. I love Pandemic! That's such a good game! I should check out Forbidden Island though, I've never played it. I played the other game in that series, Forbidden Desert, and really liked it.